Since selling and buying a home is such a momentous occasion, it’s easy to overlook the other, less exciting side of the process: moving. That’s right, if you’re planning to sell your home, you also need to plan for transporting 10 years’ worth of stuff, er, priceless treasures, to your new digs. Timing selling and buying: Consider timing the sale of your current home during spring and summer and purchasing your next in the late fall or winter. Moving off-season: Moving in late fall or winter can reduce your moving expenses, since demand for moving services is generally highest in the summer. Avoiding weekends and month-ends: By avoiding peak moving times, you can benefit from the lower demand for moving services and yield greater potential savings. Spending off-season on remodeling and major appliances: Costs for these items are usually lowest in the fall and winter. 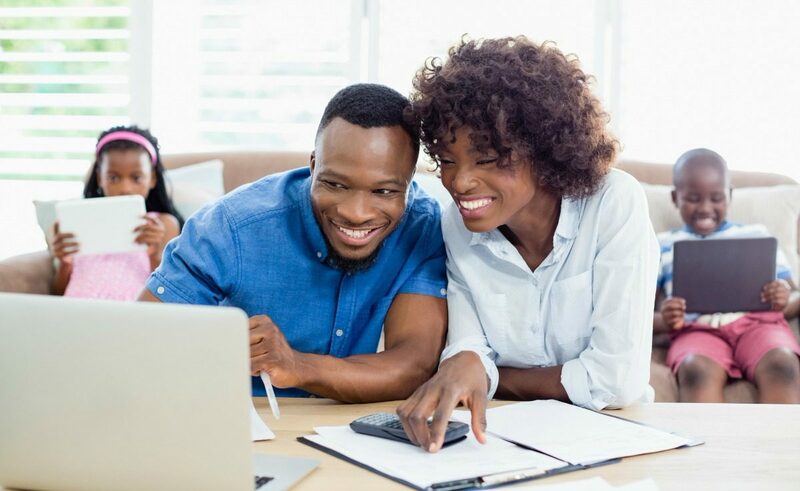 Considering alternatives to traditional home-selling and buying: These services make it possible to time your move for best possible savings. When will you receive the offer you’re looking for on your current home? Will escrow close at all? What sort of terms is the seller of your next home demanding? Do they need a lease-back while they figure out their timing? Where will you and your family live in the meantime? The outcomes of these unknowns, and the unknown unknowns that will inevitably arise when you least expect them, can make for an absolutely dizzying experience of fits and starts. Aside from the stress, not being able to time your move can also cost you money. Like many things in life, having the right timing when it comes to moving can really pay off. But it’s impossible to optimally time your home sale and the inevitable move that follows unless you have the relevant facts. That’s why we’ve done our best to do the research for you. So synchronize your watches and read on to learn our top suggestions for how to time your move, from start to finish, like a pro. Before breaking out the boxes and bubble wrap, first you have to decide when to sell your current home. The topic of the best time to sell is well-trodden territory. There are lots of informative articles on the topic, including this one that we wrote, but one variable in the equation is often overlooked: most home sellers are also buyers. Only about one-third of those who purchased a home in 2017 were first-time buyers, according to the National Association of Realtors (NAR). That means the vast majority of homebuyers are faced with the difficult issue of timing the sale of their current home with the purchase of the next one. So, for most home buyers, figuring out the best time to sell means also deciphering the best time to buy. Unfortunately, as you may have already guessed, the timing doesn’t usually match up. But depending on your location, and if you can be flexible with when you move, it is possible to both sell and buy at the optimal times. Conventional wisdom has long-held that the best time to sell is in the spring and summer, before the first school bell of the season rings, and the best time to buy is in the winter, when there’s less competition afoot. But the current real estate market is anything but conventional. While it’s still true that most home sales activity happens in the spring and summer months, the continuous decline in inventory has elongated the selling season well into the fall, closing what used to be a yawning gap between the relative sweet spots for home buying and selling. It’s also important to remember that the home-buying and selling season varies by market. Warmer areas of the country, such as Phoenix and Las Vegas, are much more active throughout the year than most markets. One powerful and straightforward way to determine the best buy/sell scenario is to look at demand based on the median days on market and the amount of stale inventory on offer. The heat map above, based on data from Realtor.com, shows a selection of markets served by Opendoor and illustrates how the window for the best time to sell has become wider over time, placing sellers within reach of the ideal buying season. Fast markets with greater amounts of new listings each month (the light grey and light blue boxes in the chart) indicate a good time to sell. Buyer demand is high during these months and fewer homes have been sitting on the market for long periods of time, making it difficult for buyers to negotiate a discount. As a buyer, you may want to consider markets with minimal fresh inventory where homes have been lingering for months (the dark blue boxes in the chart), which greatly increases your chances of snagging a deal. Based on the market trends of 2017 illustrated in the chart above, which appear to be continuing through this year, October is now a great time to sell in many markets. In the Twin Cities, for example, the median days on market in October 2017 only increased by about a week from the peak selling period in May 2017. With 42% fresh listings available in October, homes in Minneapolis-St. Paul continued turning over at a pretty fast clip. Based on the heat map above, accepting an offer on the sale of your home in October and timing your closing for December puts you within the optimal time to buy in the Twin Cities, as the days on market in 2017 increased by three weeks between October and December, and 73% of the inventory was more than 30 days old by December. In warmer markets, like Phoenix and Sacramento, the selling season pushes all the way through to November, with a sharp increase in median days on market and stale inventory ramping up in December and January of the following year. This sell/buy scenario also happens to synchronize perfectly with the most cost-effective time to move. About 35 million people in the U.S. move each year, as reported by the Census Bureau’s Current Population Survey. According to MovingLabor.com, peak moving season usually runs from April to September. The website developed a heatmap of moving demand on a scale from “busy” to “pandemonium” and found that 20 of the 30 days in June 2018 were expected to be at pandemonium-level busyness. Additionally, every weekend in May and June 2018 was also expected to have moving service demand at “pandemonium” levels, with the last weekend of the month consistently ranking among the busiest days for moving companies. Of course, these are based on national averages and vary by metro. Since the home-buying and selling season is more diffuse in metros with less extreme winter weather, demand for movers will also experience fewer extremes. You might think it’s possible for the supply and demand scenario to completely flip due to extreme heat in some areas, but the numbers show that markets consistently peak in the summer, even if it is 115 degrees. Much of this demand comes from relocating college students, seasonal workers, and renters, but the primary culprits are home buyers. The connection between real estate seasonality and moving company demand can clearly be seen by comparing monthly home sales volume with trends in U.S. Google searches for “moving company,” as shown in the graph below, which is based on data from the National Association of Realtors and Google Trends. Just as timing your home purchase for months with slower home sales can save you money, timing your move for off peak season can as well. 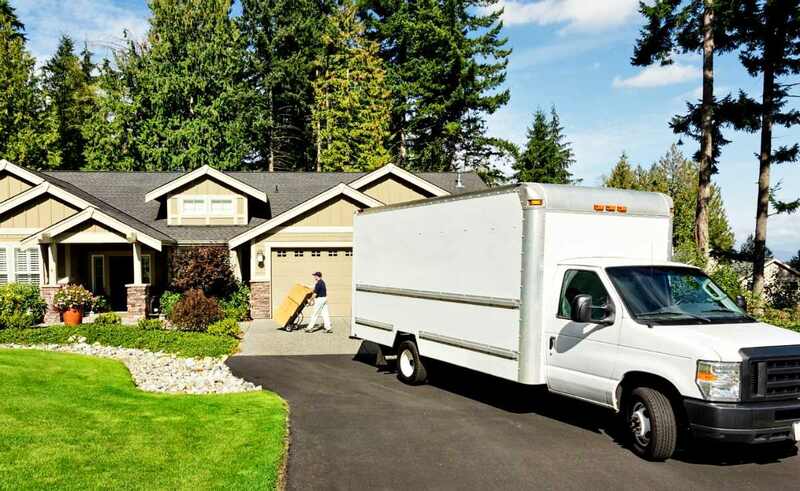 Depending on the distance, the size of your home, and the level of service you’re after, the average cost to move can range from $200 all the way up to nearly $9,000, according to HomeAdvisor.com. The more DIY you can arrange when it comes to your move, the more you can save. But the most effective way to save on your move, regardless of whether you order up white glove service or do it yourself, is to time it between Labor Day and St. Patrick’s day—essentially where all of the dark blue boxes are on the “Best Time to Sell” table above. Because of the significant drop in demand for moving services in the off-season, Mymovingreviews.com estimates moving companies slash their prices up to 30%. Avoiding the end of the month, when most leases end and when escrows typically close on traditional home sales, can save you even more. And don’t forget to negotiate with movers. Not only are prices naturally lower during the off-season, but the lack of demand drives up competition between moving companies, giving you more leverage to see just how low they’ll go. 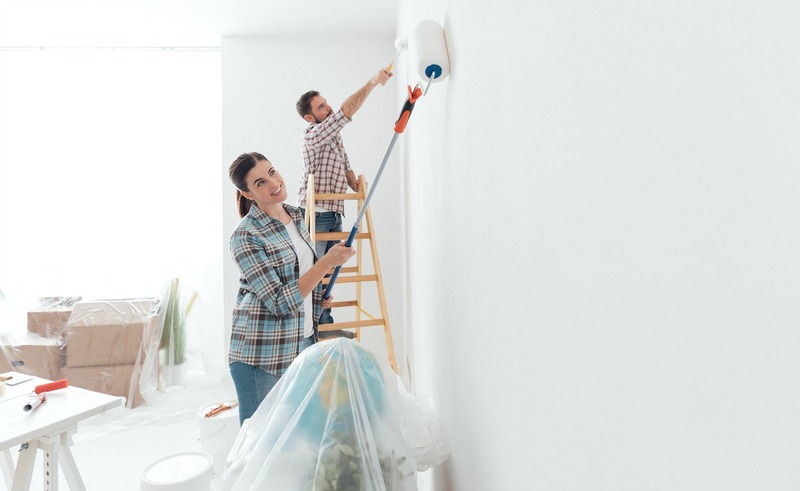 In addition to saving on your home purchase and moving costs, moving in the cooler months can also save you serious cash on a remodeling or repair project. The construction industry is highly susceptible to seasonal swings in demand. As homeowners prepare to sell their homes in the summer, they also invest in remodeling projects to increase their home’s value, tying up the already tight labor supply of contractors. Contractors are in especially short supply during the spring and summer months since the good weather is perfect timing for long-term projects, such as new home building. Housing starts follow a very clear seasonal pattern, peaking in June and July and bottoming out in December and January, leaving many construction workers and contractors hungry for work until Memorial Day. Not only is labor more plentiful during this time, but you can also find better deals on major appliances, according to a recent Consumer Reports study. They found that the average price of a refrigerator dropped by almost $250 in November of 2016 compared to its peak price in May of that year. Consumer Reports found that during the fall, there were significant discounts off of the peak average prices of ranges, TVs, and dishwashers as well. It may seem too good to be true that from October to February nearly every aspect of home buying, selling, moving, and remodeling is more cost effective according to our research. There is, after all, a good reason why most people move during the summer. The weather is reliably safe, the kids are out of school, and people don’t like to move during the holidays. But most of these reasons are due to preference. More than the school schedule or the weather, the most difficult feat to accomplish is timing the sale of your home and the purchase of your next one two months apart. Since sellers still seem to have the upper hand in many markets throughout the country, you may be able to negotiate a leaseback or an extended escrow period with your buyer. But there are risks and costs associated with these tactics that might obviate whatever benefits you receive from deciding to move late in the season. 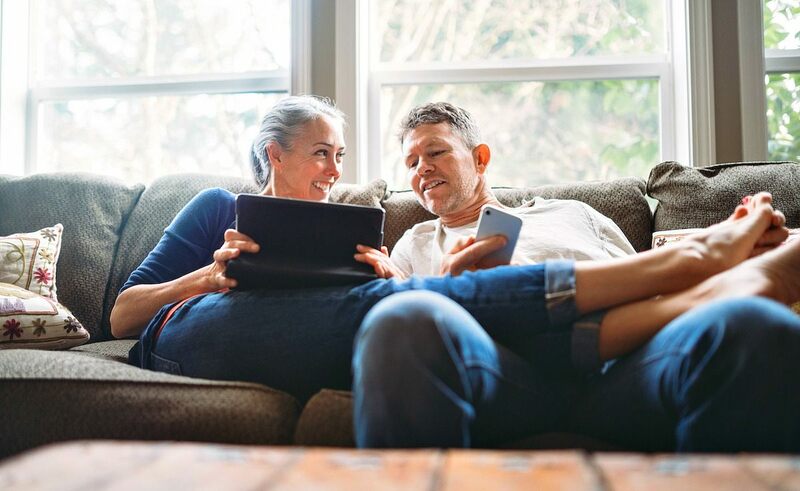 Thankfully, there are more options for selling and buying a home than there have ever been before, some of which empower you with the freedom to move when you want and how you want.